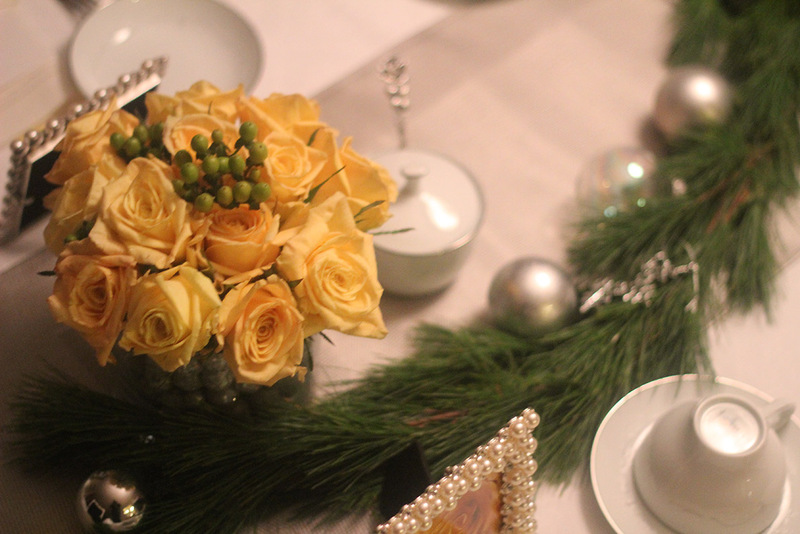 I shared the inspiration board in my last post and here are pictures from the actual event! 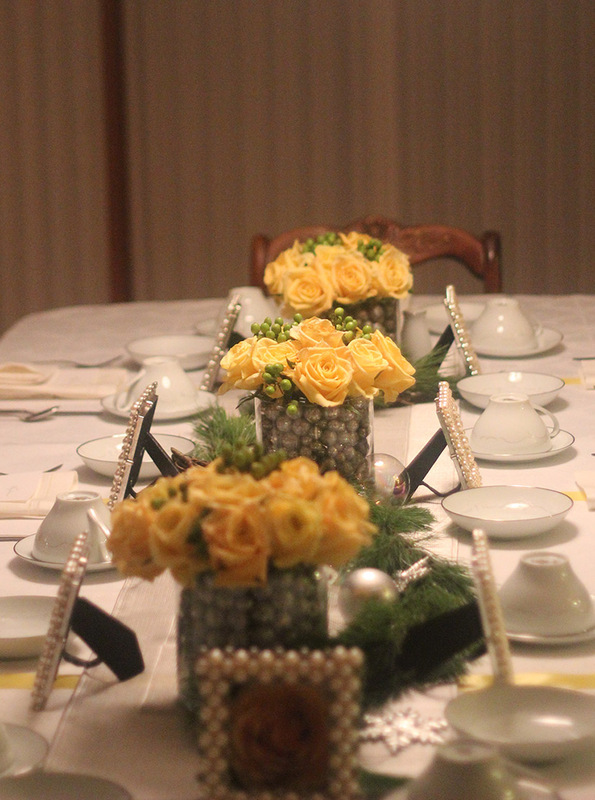 We were able to use my client’s heirloom china for the event which I was thrilled about; it added such a special touch. 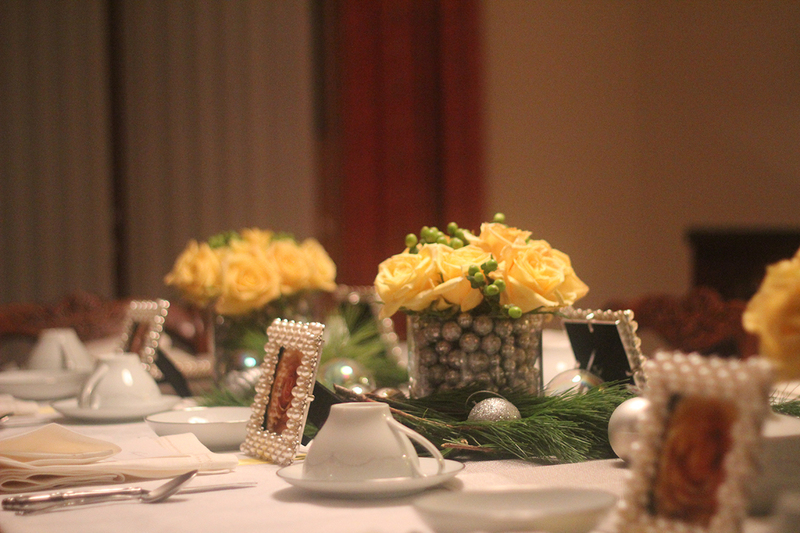 The silver and white china coordinated with the overall color scheme and looked very classic. As a placeholder I took the picture of the rose from Susan’s funeral and printed a copy for each guest with their name on it. 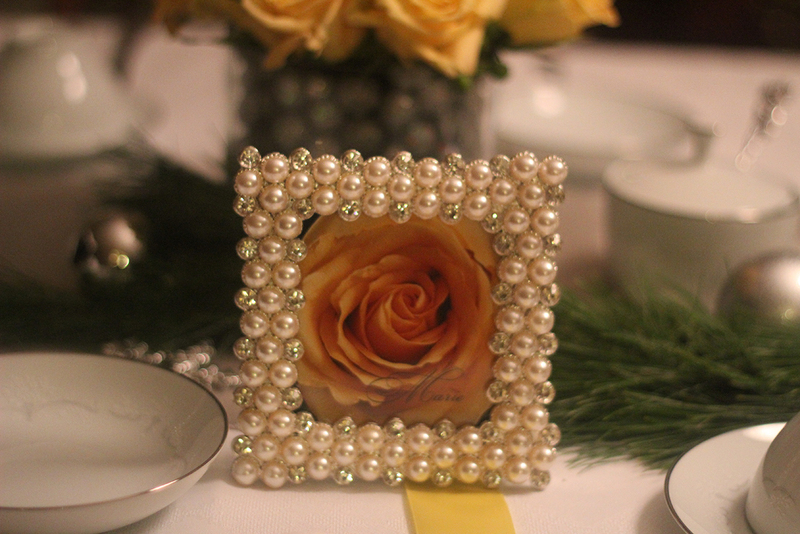 After the brunch, each lady was able to take her frame home as a reminder of her dear friend. Fresh garland and ornaments added the hint of Christmas we needed to tie the table in with the rest of the house which had just been decorated for the holidays. It was a pleasure working with Betty and I had the added delight of meeting all the ladies who attended the brunch when Betty invited me to join them just before the brunch ended. I can see why Susan had them all as friends, they were such a lively and fun group!